Fraser Foursomes as popular as ever! 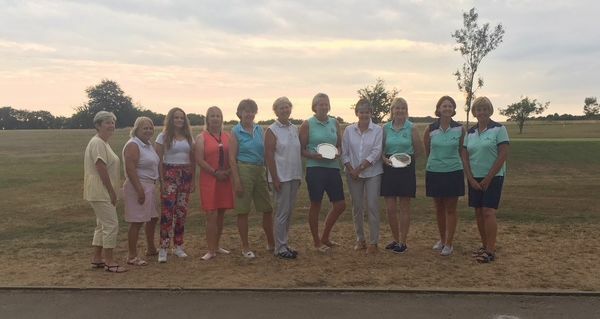 The Fraser Foursomes proved to be as popular as ever when 136 ladies took part in the 36 hole Medal competition at Stinchcombe Hill Golf Club on 12th July. Thankfully the heatwave abated and although it was warm, everyone completed both rounds and played at a very good pace. County President Sue Rawles thanked Stinchcombe Hill for letting us take over the course for the day and also for the excellent catering, cakes in particular. Greenkeepers, spotters and starters had all played their part in the smooth running of the day - thank you. Apart from a slight IT hiatus with the results the day went very smoothly. Thank you ladies for your contributions to the Ball Draw, there was a surplus of £103 for the Junior Girls!